This month our Special Ruler is the Creative Grids 60-degree Triangle! This classic ruler is a must for your sewing room tools! There's a demo available in the Blue Hen Classroom if you want to see how really talented this one is. 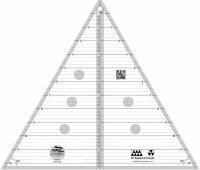 And remember with every purchase of the 60-degree Triangle ruler, you will receive a free Cut Loose Press pattern! A great way to get started using your new tool! Just so you know how useful this little ruler is... I cut the fabric out for this Easy Striped Table Runner by the Quilt Company while a customer browsed around the shop, then sewed the pieces together while the porkchops were baking for dinner! 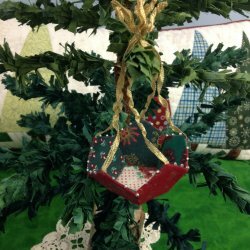 Fast and spectacular with the 60-degree Triangle ruler and some of our Christmas Border fabric! Full disclosure - I did ask Jody to finish it off this morning while I typed up this newsletter. But you can see, it's quick! 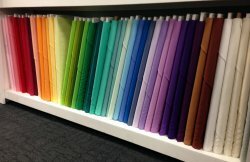 We've had a lot of new fabrics come in this month!. 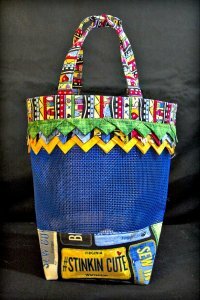 Here are some pictures to inspire you! RJR Solids for all you modern quilters out there! 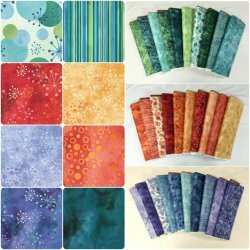 Jelly Bean Batiks from Timeless Treasures! 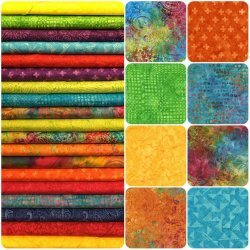 Cosmic Fusion - a beautiful collection of blendables! Sit and Stitch Pin Cushion - great for couch time sewing! 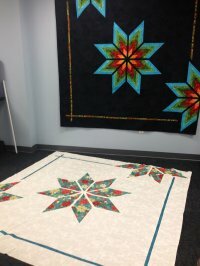 Modern Star by Erin Underwood Quilts. It's finally finished! It's a beauty! Yours will be too! 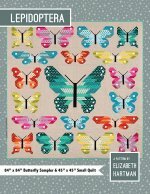 It's time to take the plunge - Start quilting! 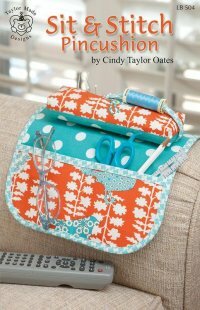 This little sampler will teach you about fabric choices, rotary cutting, sewing accurately and completing a quilt! Come join us - tell your friends! 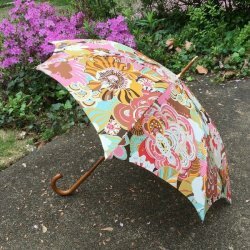 This is a perfect way to try a new technique - English Paper Piecing - is it for you? Got scraps? Here's a great way to pull them all together! Everything goes in a string quilt! We are hiring! 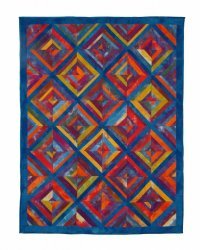 Many thanks to all of you wonderful quilters! Without you and your support the Blue Hen wouldn't be doing as well as it is! And we need a little more help around here! Interested in a part-time job? Like quilt shops and people? This may be the opportunity for you. 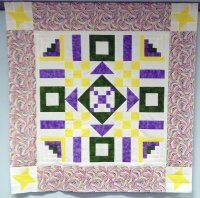 Contact us at the Blue Hen Quilt Shop for more information. info@bluenhenquiltshop.com 302-533-5215.